(*) The “one way” fare applies to round trip with any other train service and/or different trip date. 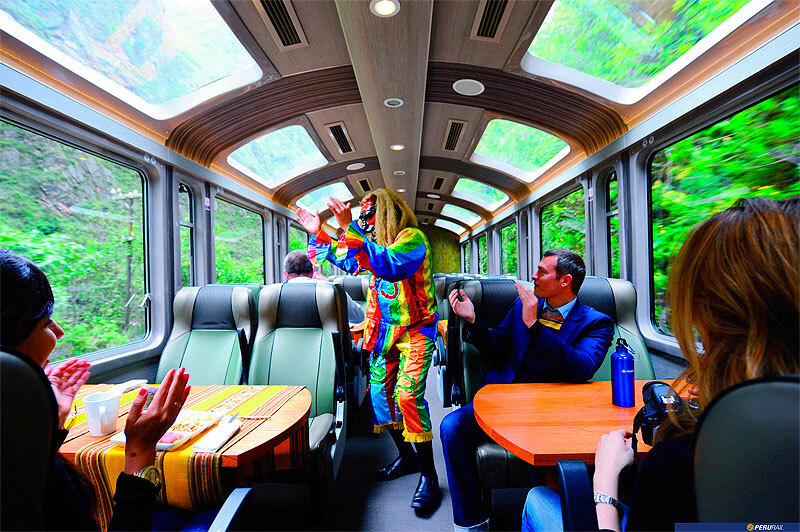 Buy your ticket on our website and discover an amazing adventure aboard our Vistadome train. Enjoy a buffet lunch at Belmond Machu Picchu Sanctuary Lodge, located a few steps away from the Machu Picchu Citadel from 11:30 am until 3:00 pm. 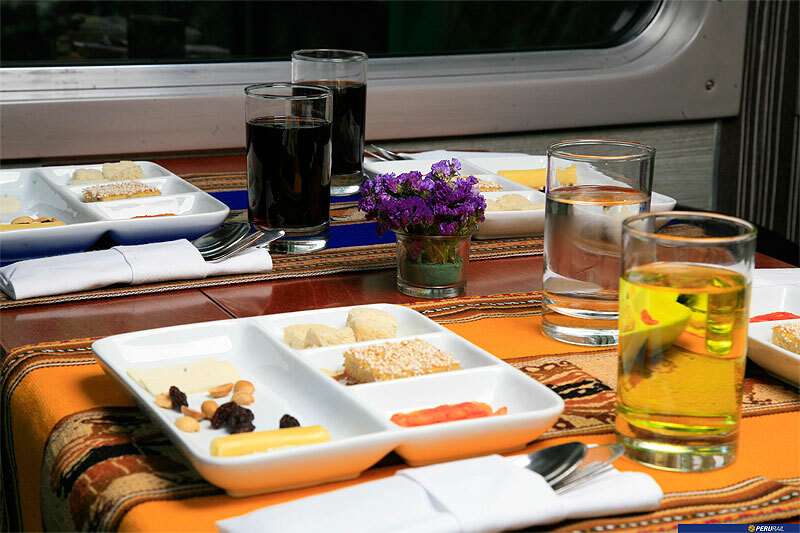 The Vistadome has three stations of departure to Machu Picchu: Cusco (Poroy), Sacred Valley of the Incas (Ollantaytambo) and Sacred Valley of the Incas (Urubamba). The village of Poroy is located at 3,673 meters altitude, being the highest point of our journey, which lasts 3 hours. 10 minutes from Poroy we will find the village of Cachimayo, famous for having the ANFO and fertilizers factory. After we reached the village of Cachimayo (Izcuchaca), where the railway passes through the middle of this population; we will continue in the Pampa de Anta, livestock area, and then reach the town of Huarocondo, place where you can taste the best piglets dish offered in the most important celebrations of the population of Cusco. At the foot of the hills to the left side we can see the Inca terraces, which are still used by the inhabitants of the area. At Km 68 is the station of Ollantaytambo to 2792 m.s.n.m., where is located the archaeological park of Ollantaytambo. Following the route about 15 minutes from Ollantaytambo, we see the snow on the right side of the snow hill called Veronica at an altitude of 5682 m.s.n.m., this mountain is part of the Cordillera de los Andes. At Km. 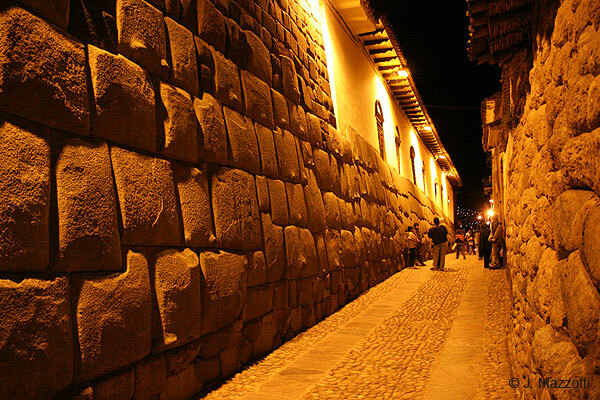 88 Qorihuayrachina is located the second starting point of the Inca Trail where you walk three days and two nights. From Km. 93 or Pampacawa, you will notice the change in vegetation as we approach the jungle and the temperature rise is remarkable. Following the route arrive at Km. 104 another start point called Chachabamba Inca Trail, an archeological zone. 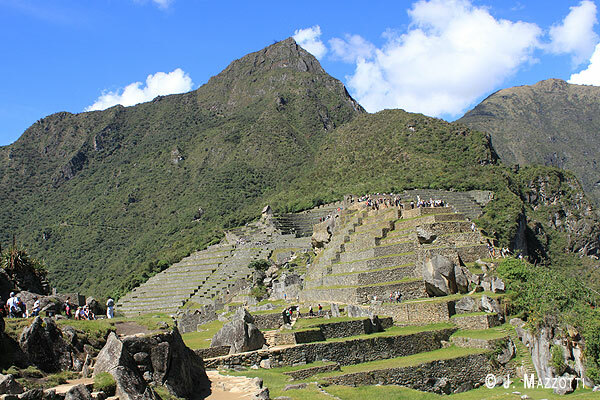 Many tourists like this route because it's a shorter way to get to Machu Picchu Inca City, (approx. 6 hours walk). Two minutes after the Km. 104, if you look carefully at the top of the hill on the left side, you will see the archaeological site of Wiñacaywayna. And at the foot hill we see the archaeological site of Choquesuysuy composed of walkways and enclosures. At Km 106 is located the hydroelectric dam that provides electricity to the entire area of Cusco. From this point we're 10 minutes from the station of Machu Picchu located in Machu Picchu Town, the end of our journey by train.